ONE BLOODY AWESOME WEEKEND! 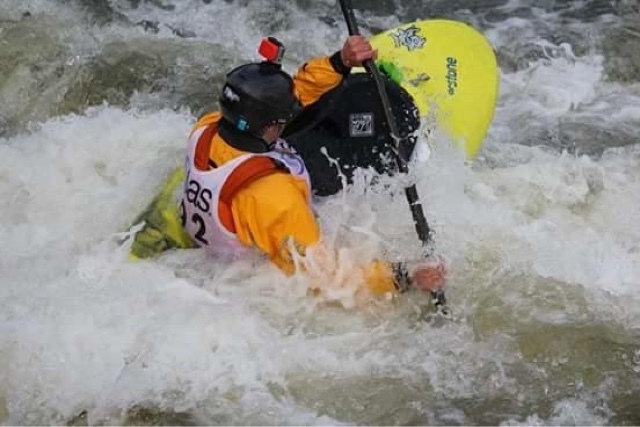 ~ SAS Hurley Classic 2015. by ChrisMacdonald, photos by Paul Foreman | DBP MAGAZINE ONLINE The World's Best Free Whitewater Publication. “I set off early afternoon to get there for Friday evening. As soon as I set up the tent I jumped straight on the wave lit by a few floodlights. The wave was so powerful I capsized within the first few seconds of being on it. It was awesome! The next morning I took part in Meet the Stars. This is where all the junior paddlers get a lesson from world class paddlers. My “Star” was the one and only Bren Orton. It was an absolute privilege to have paddled with him, and I improved my confidence loads, until I swam. Then in the afternoon I competed in my first Boater X race, which involved a seal launch off a 15 foot ramp, sprint to the main flow, ferry glide across, touch the marker buoy, another ferry glide, around another marker buoy and a sprint downstream to the finish. I didn’t qualify for the quarterfinals but I did finish 2nd in my heat. Also it was a massive privilege to race against the 2015 junior freestyle world champion. After our evening meal that night, despite being -5 degrees, I decided to jump on the wave in what was very nearly pitch black. I wanted to practice my capsize and roll, to get my confidence back again, ready for my first ever ICF judged freestyle competition. I jumped on with frozen kit, capsized twice and rolled twice so I was feeling great for the upcoming competition. Finally it was Sunday. The main event. The SAS Hurley Classic 2015, my first ever ICF judged freestyle competition. 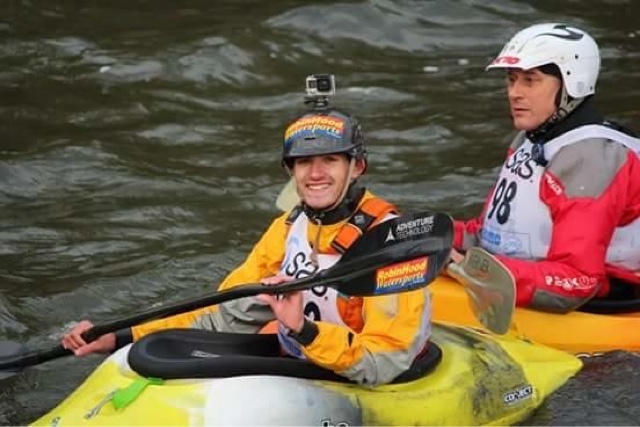 Unlike most freestyle events where you only get 45 seconds on the wave, this time to make it easier for the novice paddlers like me they had 20 minute jam sessions. Take turns and pull off as many moves as possible on the wave over 20 minutes. OK, I wasn’t performing big airscrews like some of the paddlers in my heat. All I managed was a few “shuvit’s”. I got 3 points which I was very proud of given it was my first freestyle competition and certainly not my last. 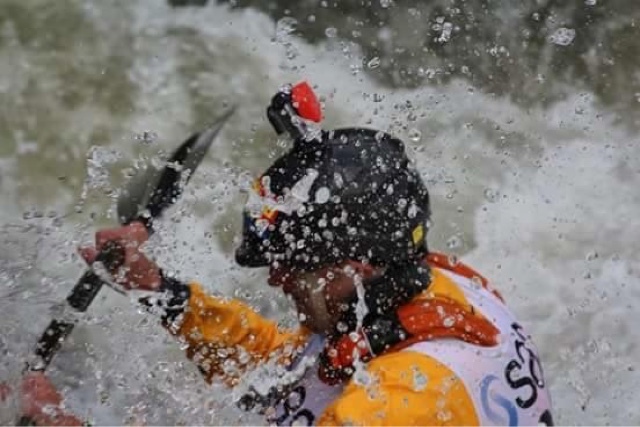 SAS Hurley Classic was the best paddling experience I’ve ever had, and saying that I’ve sea kayaked across the English Channel and done Low Force waterfall backwards this weekend was absolutely bloody awesome! 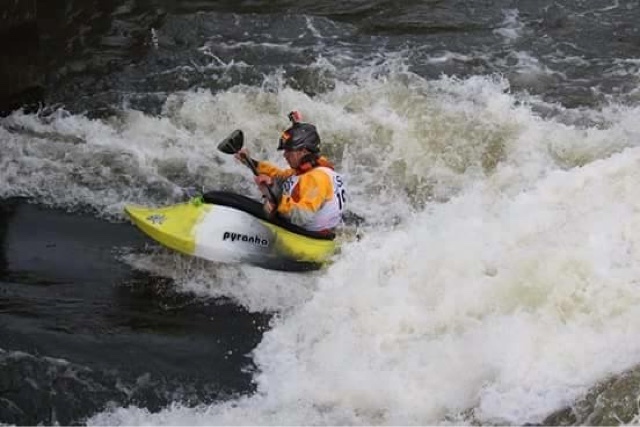 THE PADDLER PHILOSOPHER ~ DBP interviews Doug Ammons. Part I by Mike Toughill.